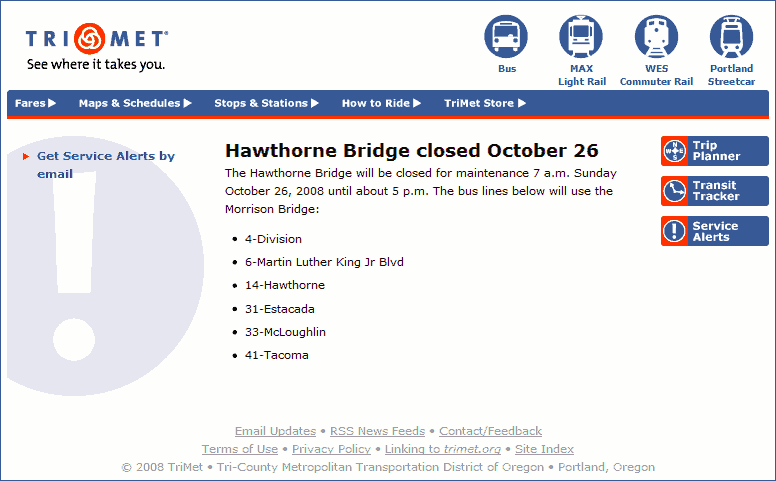 Neither Lines 31 or 41 go to Portland on Sundays (or anytime else outside of rush hours) and therefore cannot be affected by the closure (the Hawthorne Bridge is one of the bridges into/out of downtown Portland). In fact, the 41 doesn’t run at all outside of rush hours. But they did leave out Line 32, which also only travels to Portland during rush hours.